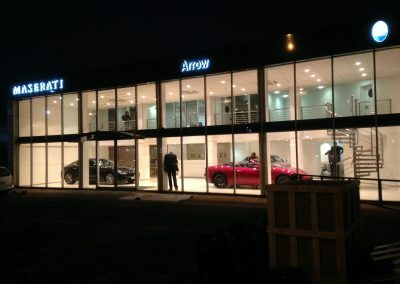 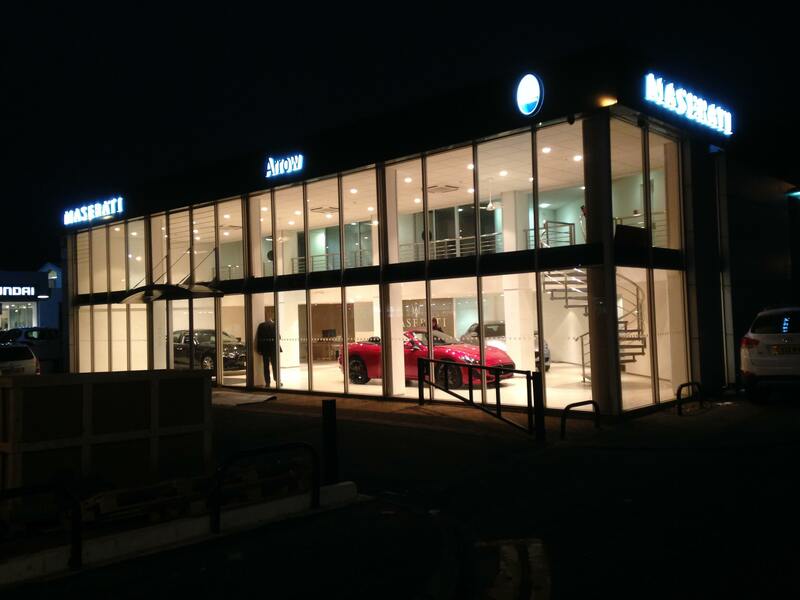 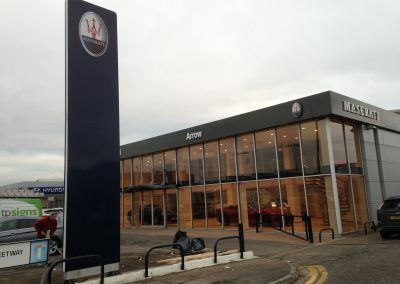 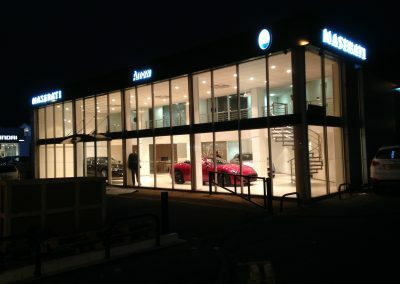 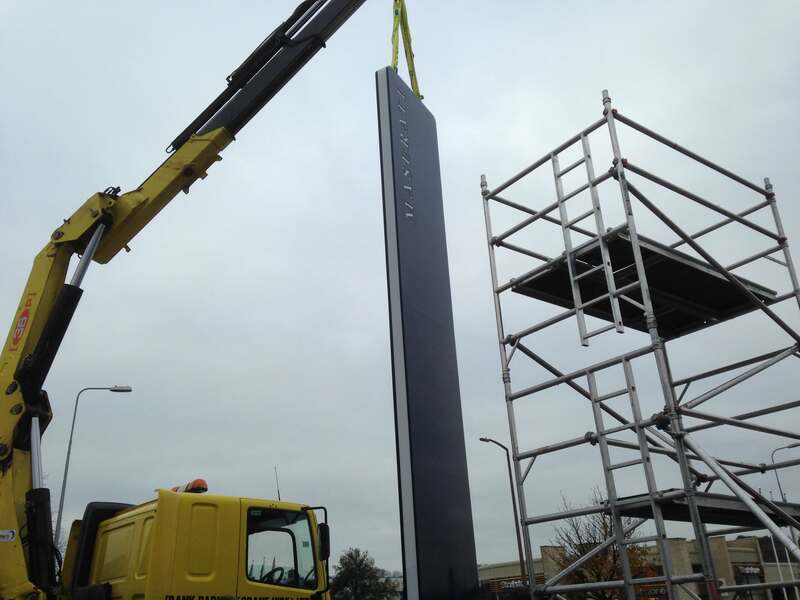 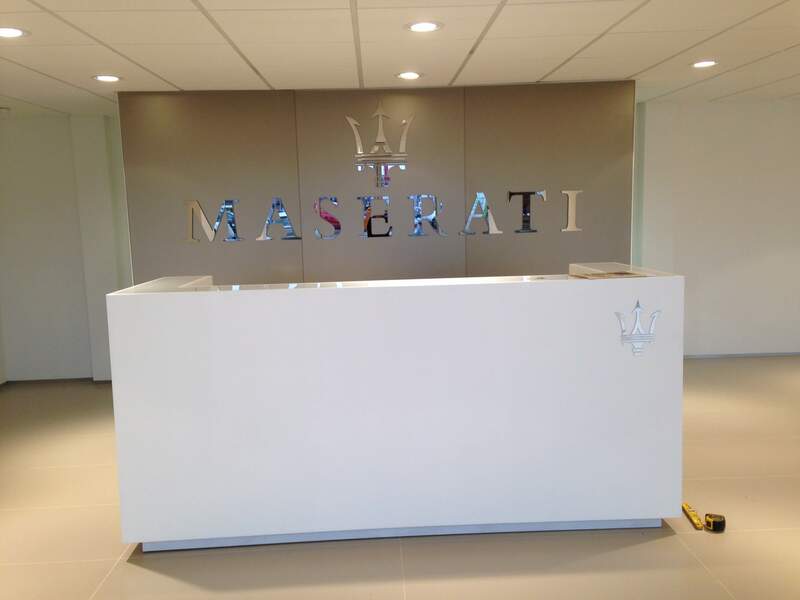 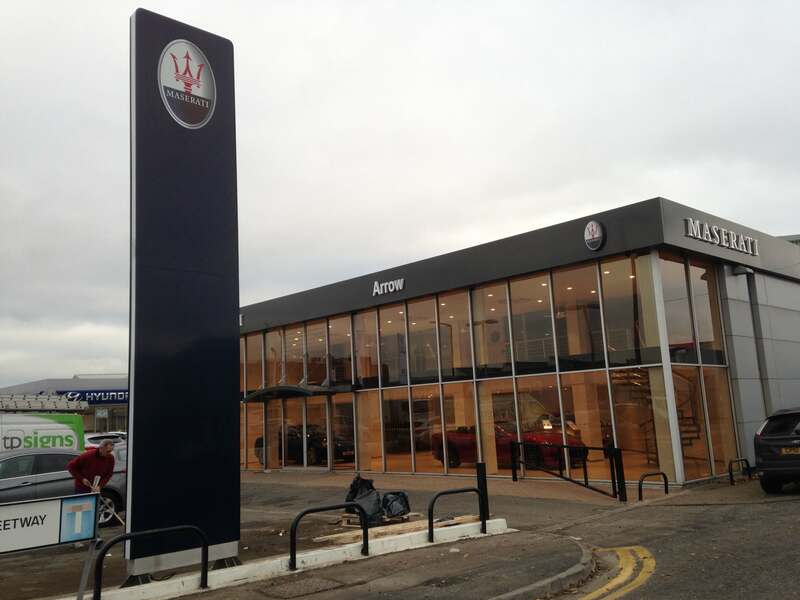 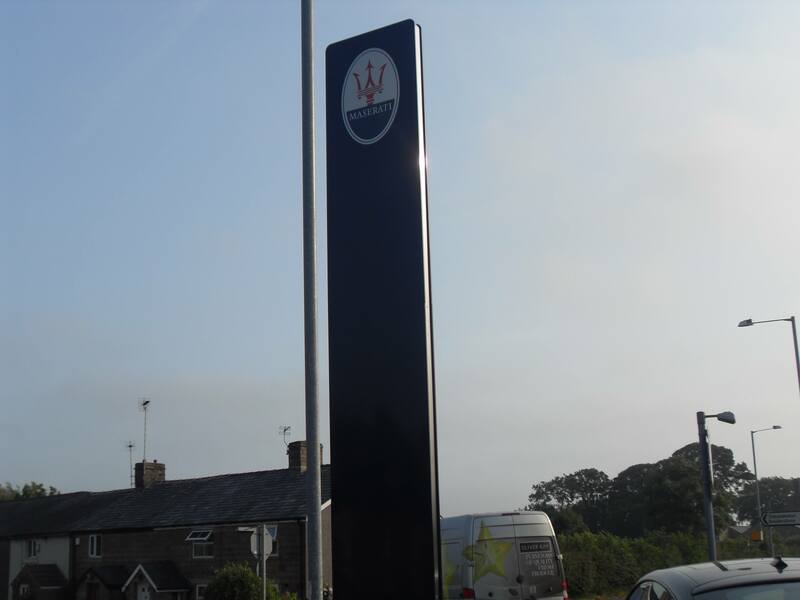 Arrow Motor Group of Cardiff appointed us to implement the new brand signage for their new Maserati dealership. 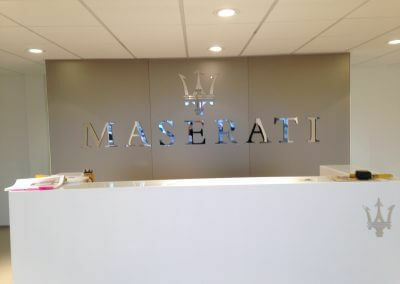 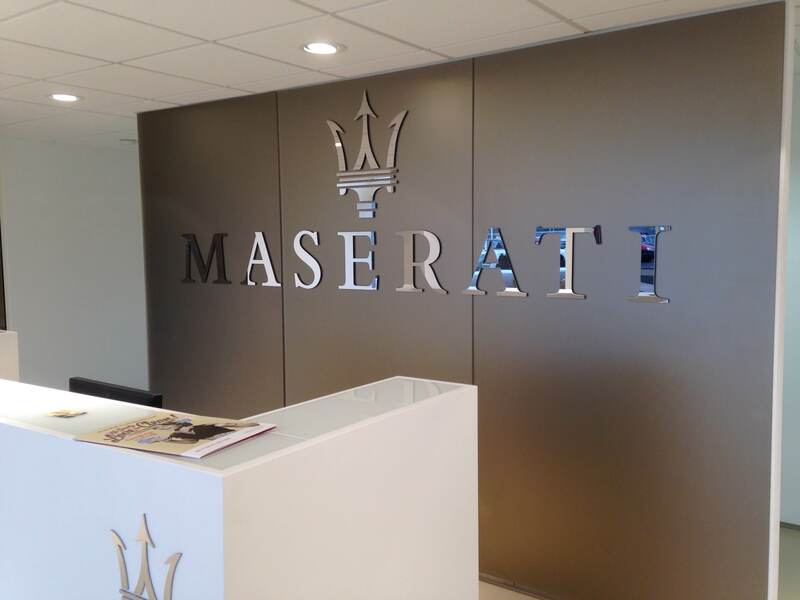 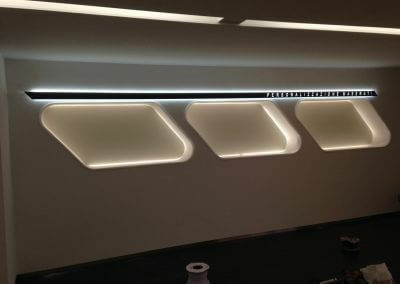 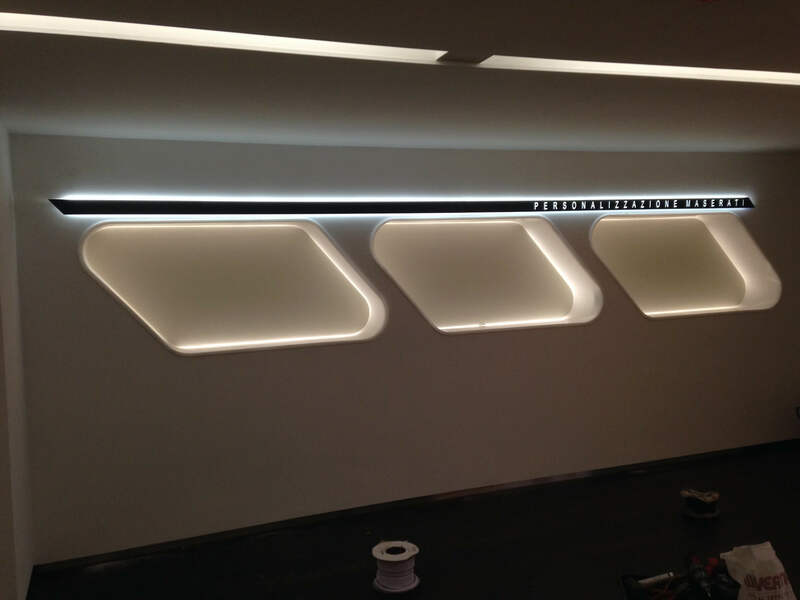 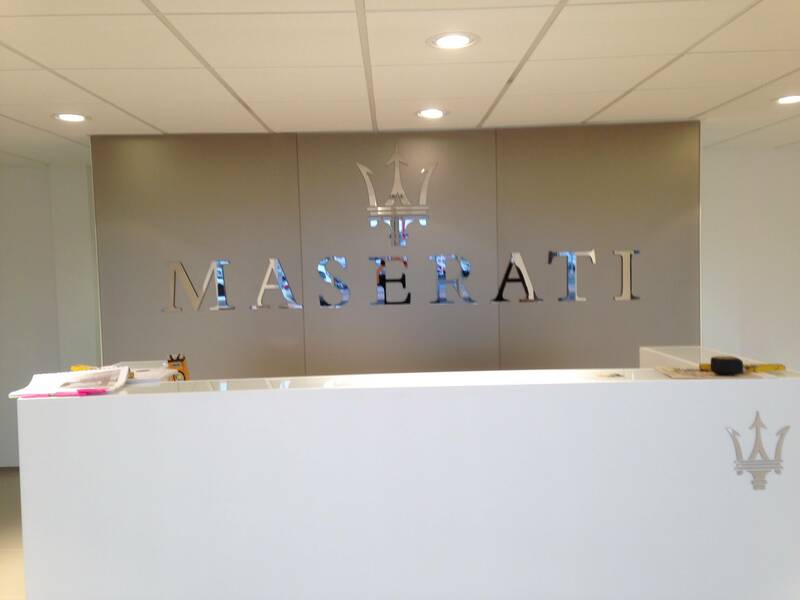 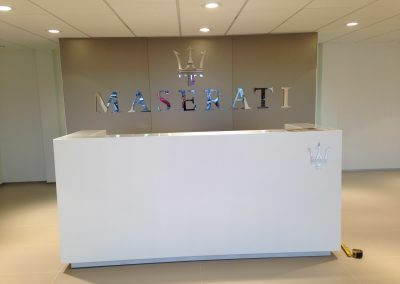 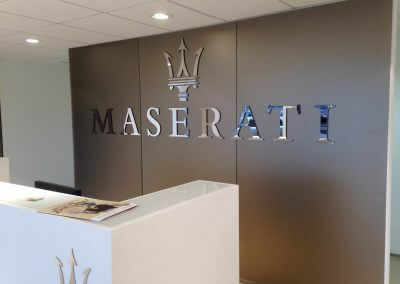 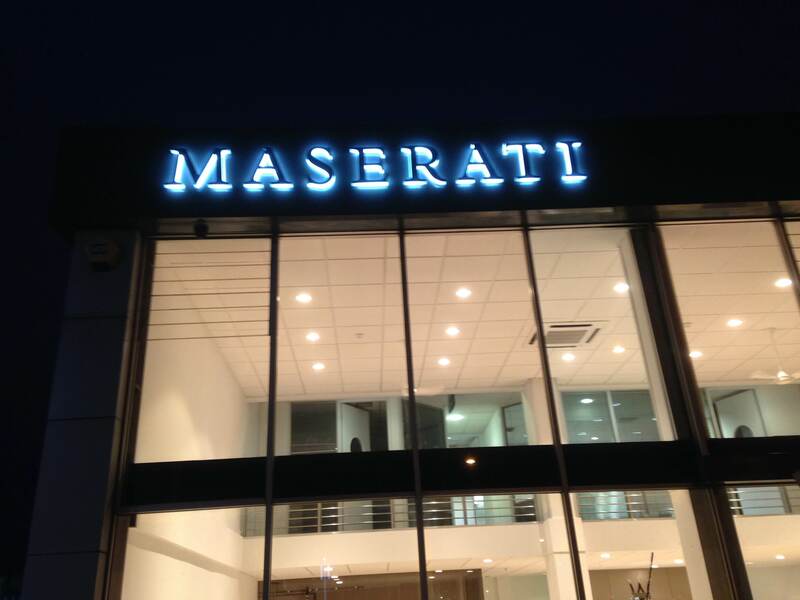 The signs had to manufactured to the exacting standards of the Maserati Corporate Identity guidelines to ensure accurate reproduction of the brand. 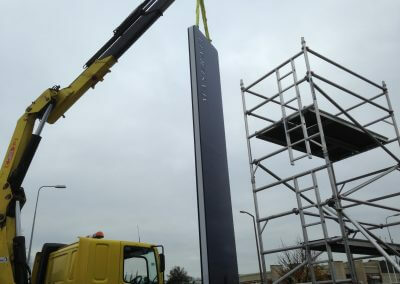 All of the signs were fabricated from powder coated aluminium sheets, which where formed into tray sections. 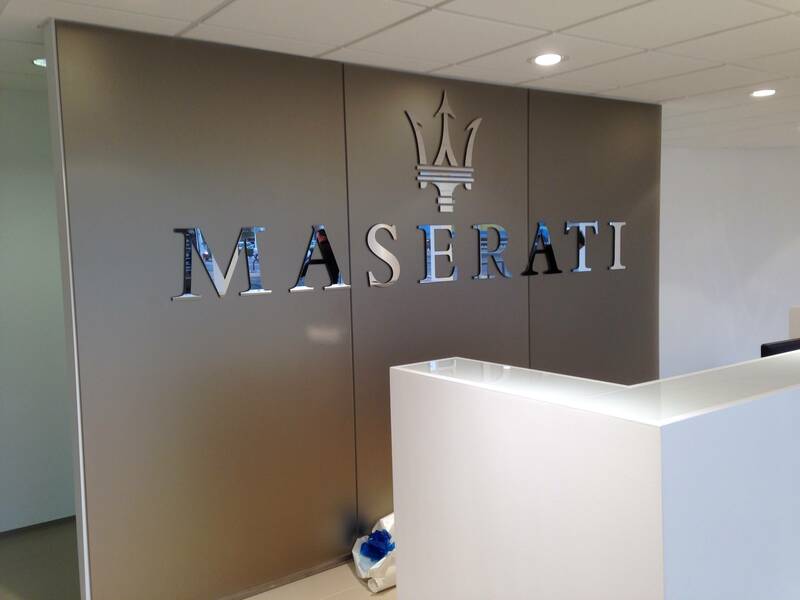 The lettering and motif apertures were laser cut to allow the sign to be illumined. 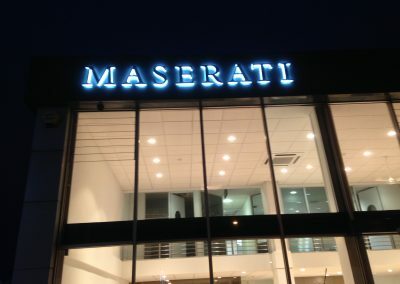 To illuminate the sign we used low energy LED’s. 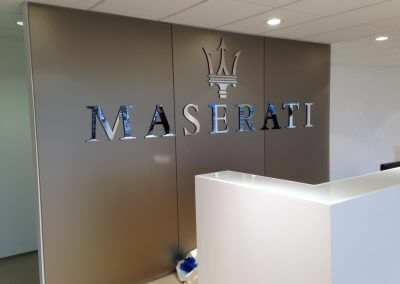 The main Masetati brand lettering was created using opaque polished acrylic, with a mirror polished stainless steel faces, this was also illuminated from low energy high intensity LED’s. 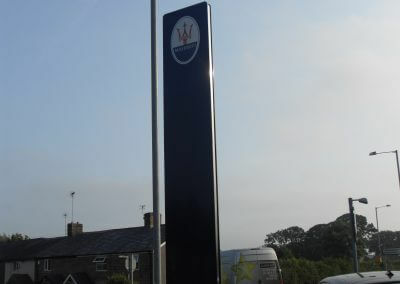 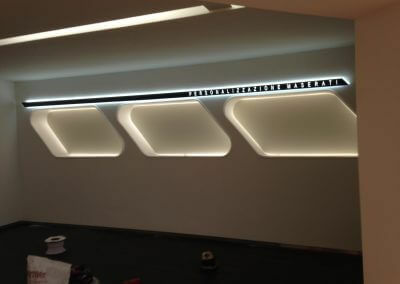 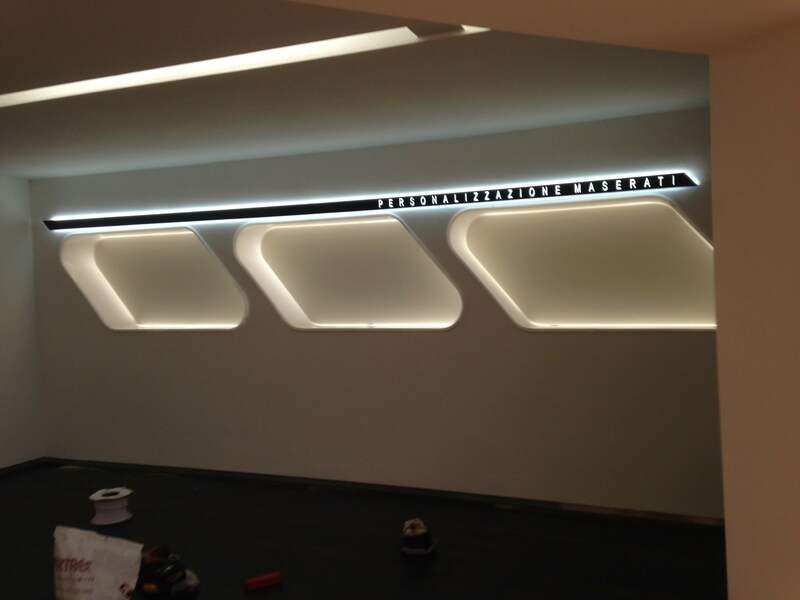 This give a stunning nighttime illumination as well as being highly viable during the day.